David Clarke is a Director and Head of Security and Counter-Fraud services at Today Advisory. The firm is the consultancy arm of Today Translations, which is headquartered in the City of London, and provides multilingual research, advisory and languages services to corporate clients across the globe. He leads a multi-disciplinary team of security specialists and works with international clients to alleviate data theft and fraud. He works with international clients in financial and professional services, heavy industries and life sciences to alleviate economic crime. To mitigate the risks that are often unseen in multi-lingual supply chains, he pioneered AMLiss™, a 3 tier regulatory compliance solution to identify red flags in multilingual contracts and other written and verbal business communications. The OSCE and the Centre for Democratization of Armed Forces (DCAF) use David’s varied experience to provide specialist advice on international policing. He provides structured reviews, advice and experiential learning for leaders in Europe, the Caucuses and the Middle East. David has a distinguished career and as a police investigator for over 30 years’, he led cross-border operations in the UK, USA, Europe and Middle East for the City of London Police and the UN in Bosnia Herzegovina. He is a former Detective Chief Superintendent and as a member of the United Kingdom Government’s Attorney General led Fraud Review, he was responsible for designing and implementing ground-breaking services and technology including the National Lead-Force for Fraud and the National Fraud Intelligence Bureau (NFIB), the first unit of its kind in the world. 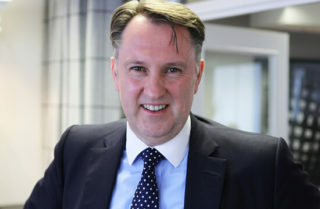 He is a Trustee Director of the Fraud Advisory Panel charity, the voice of the counter-fraud community in the UK and leads a number of innovative projects to protect organisations from economic crime.